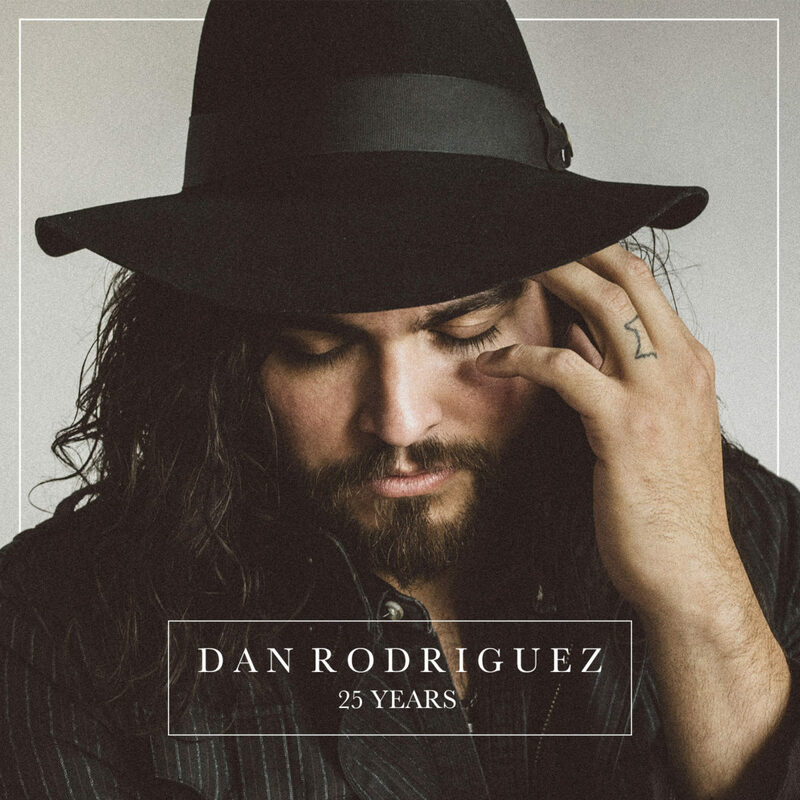 Dan Rodriguez’s music mixes the hard bitten rock and roll style from a Detroit upbringing with the singer/songwriter aesthetic defining much of his adopted Minneapolis scene. He sounds comfortable working in both styles and the six songs on his new release 25 Years underscores the confidence guiding his work. Rodriguez hired John Fields to handle production duties for this EP release and he brings an unity of sound to 25 Years that helps songs with slightly different styles and variations sound like part and parcel of the same package. The musicians accompanying Rodriguez on this release are five star caliber and stand out, if no other reason, than their obvious instinct for knowing when not to play. Their additions to the six songs are unobtrusive, yet essential to the overall success of the release. 25 Years is a winning EP from the first song onward and there isn’t a second of filler to be heard. Beginning the EP with its title song is a somewhat audacious move, but it pays off for Rodriguez. The song has a strong chorus that communicates a positive message and the rest of the song follows suit in its warm regard for the subject matter and the inventive framing of a familiar theme. He has a great way of getting over the song’s emotional edge thanks to its steady rise from an acoustic opening into an all out band effort, but this track and others show his inclination towards moderating that approach just right. He isn’t looking to overwhelm listeners; these songs, instead, aim for conversation with listeners. They engage serious topics, but never in such a way that it becomes a drag to hear. “Fire” is another familiar songwriting riff, but the guitar work, vocal, and backbeat are charged with a powerful bounce that shows the commitment Rodriguez regularly brings to his material. It’s notable, as well, how he studiously avoids falling into clichéd traps and uses this sort of longstanding approach in a surprisingly fresh way. “You’re Not Anybody” is another song about how relationships and our own point of view empower us. It isn’t as heavy handed as my description might imply, however, and Rodriguez carries off a song with some variance in traditional structure off in a way as satisfying as any more straight forward track. The EP reaches its zenith on the song “Hero” and this is a marquee level track that could have been the center piece of a much longer recording. His artistry working with the anthemic form never tests listener’s patience and, instead, breathes some much needed life into a type of tune that’s been often handled in a hamfisted way. “Until the End” finishes the release with quite a contrast. The acoustic guitar work provides a great musical backdrop for Rodriguez’s best vocal on the EP and it’s essential a solo effort with none of the band contributions we’ve heard on the earlier cuts. It doesn’t end the EP with some emphatic exclamation point, but it’s every bit as effective as the previous songs and closes things on an artistic note wholly in keeping with excellence of 25 Years. Dan Rodriguez has knocked one out of the park with this release.